Called the “Pearl of the Tapajós”, in Santarém we can experience the encounter of the waters – when the waters of the Tapajós of emerald coloring meet with the muddy waters of the Amazon. Nature is the great attraction of Santarém, starting with a walk to Alter do Chão or Lago Maicá, the pristine beauty of the Amazon rainforest appears in all its splendor. In fact the Amazon is the place where superlatives are born. 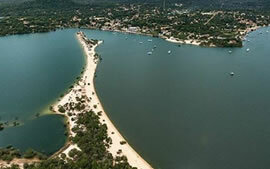 The walks in the immediate vicinity of Santarem are very interesting and in less than 1 hour, we are somewhere in the middle of the forest, visiting an ecosystem so intriguing that it escapes our understanding. 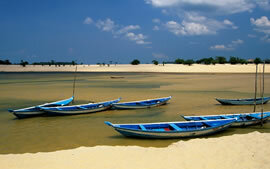 The best way to explore the aquatic universe of Santarém and region is by boat. This adventure can be done in a boat typical of the Amazon with 2 decks or a flying, arriving at places where the forest is more closed and requires a smaller boat. 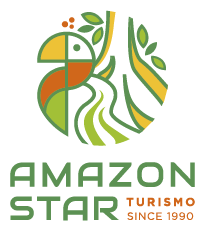 Very comfortable in tailor-made programs fruit of an experience in search of authenticity and originality with a specialized team, passing through imcomparable natural riches … These are the cruises that the team of the Amazon Dream prepared to make him discover and love the Amazon. 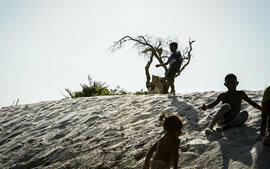 Alter do Chão ancient land of the Borari Indians is today a treasure guarded by about 3,000 inhabitants. 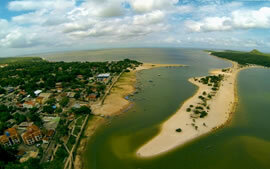 Hidden in what the locals call Lago Verde (green and transparent waters), with the Tapajós just next door. 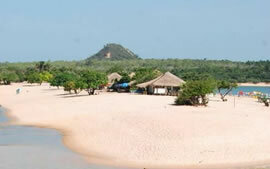 Get to know Santarem and Alter do Chão without giving up the comfort you deserve. 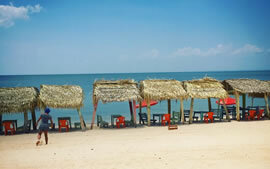 We will prepare the best places for your tour to be a positive and satisfactory experience.